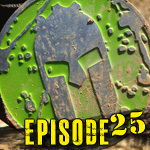 Episode 44 – Back from the Dead | Getting Dirty with Laurie and Daniel - A Podcast about Obstacle Racing, Training, and Mud Runs. Where have we been? Laurie candidly discusses her diagnosis of Trigeminal Neuralgia and how it completely sidelined her from obstacle racing, podcasting and life in general. She shares how depression set in and how she began to take back her life. It’s a long journey that is nowhere near over, but at least now she is walking in the right direction. What’s the deal with LoziLu? How to deal with your credit card company when a race cancels. Try to contact the race for a refund. Keep detailed records of each time you tried to contact them. Usually need to report within 30 days of the charge posting to your statement and needs to be disputed within 120 days rule for credit card transactions.